My first day on the Isle of Man went in a flash, so we were keen to make the most of my final day. Sunday morning predictably began with another brunch, this time at a place called Noa Bakehouse. 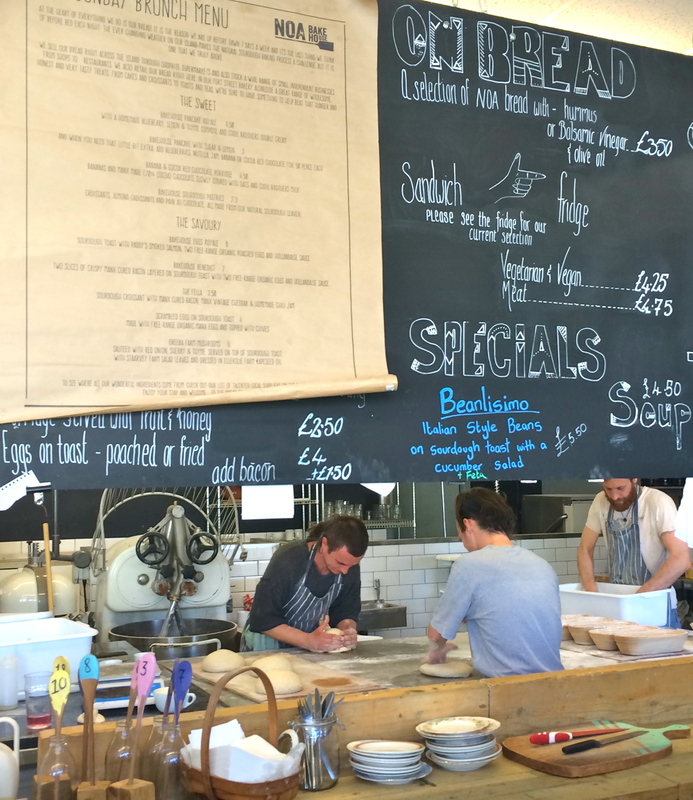 It was a wonderful open plan space where you could see all of the bakers kneading the bread in front of you. 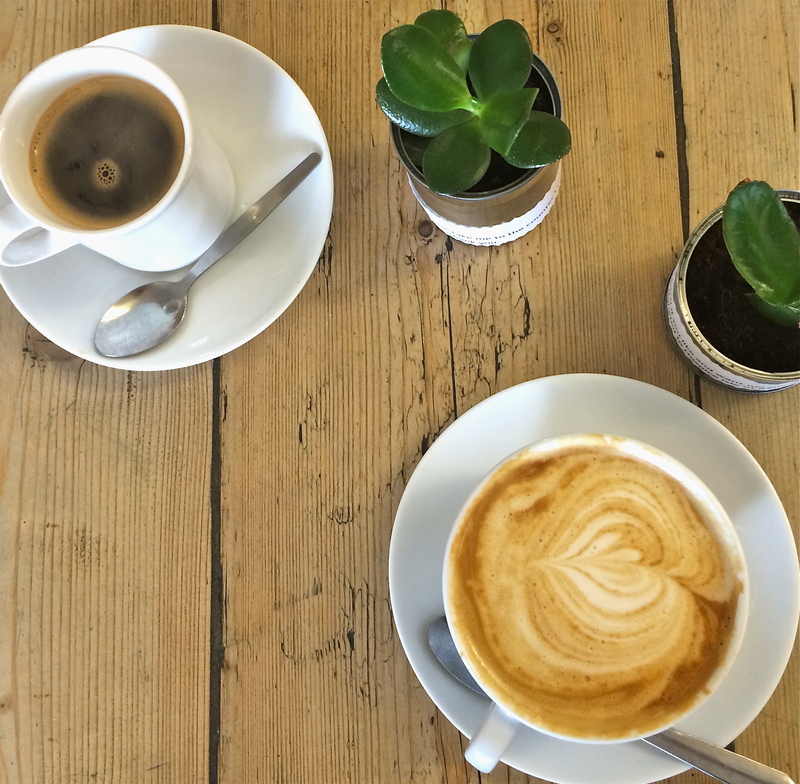 It was another chilly morning, so we were very happy to get warmed up with a lovely hot cup of coffee. I’ve recently become obsessed with Soya Milk lattés. I’m not allergic to dairy, but I just think that they taste delicious! 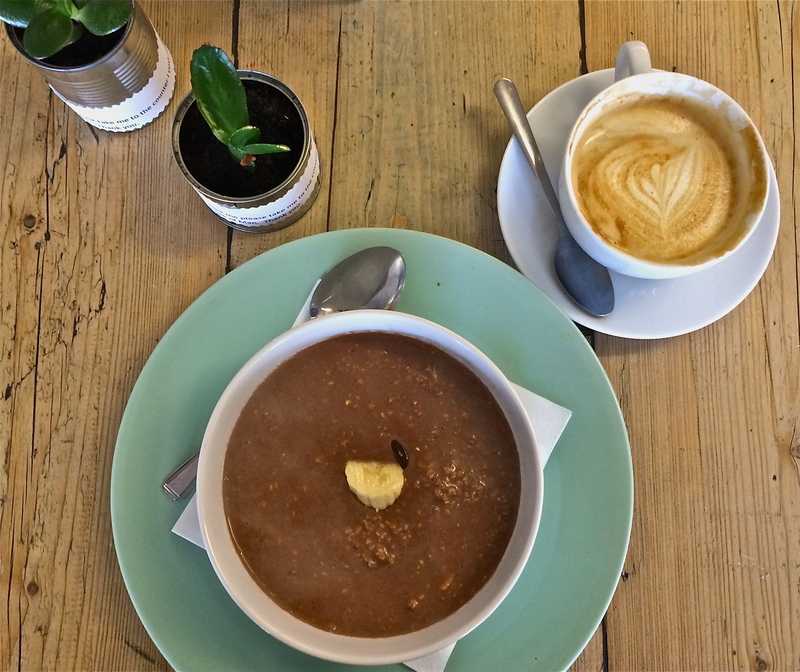 I am also a bit of a porridge fanatic, and so I opted for a lovely warm bowl of porridge with cacao and banana. 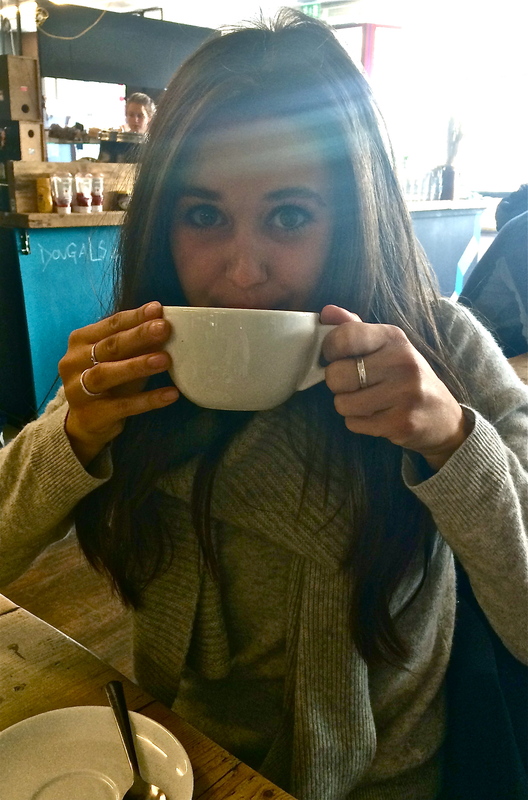 It was such a wholesome bowl of goodness, which also satisfied my sweet tooth! We had lots of sightseeing planned for the day, so we quickly finished up our breakfast and headed out. 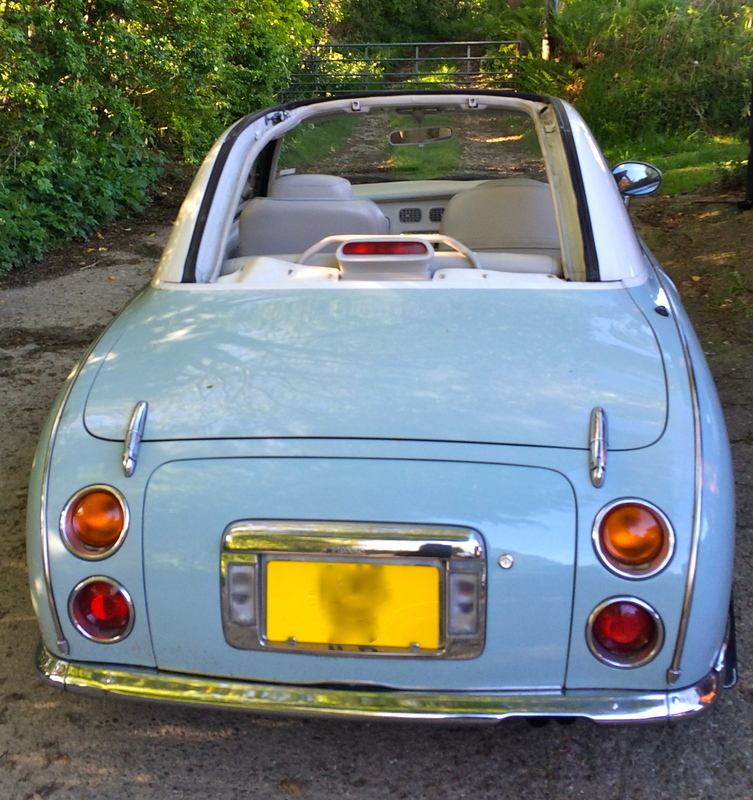 It was time to see a less well- trodden part of the island, and as the sun came out it was the perfect opportunity to lift the top down and take a spin around the coast. A beautiful waterfall was covered by a canapé of greenery, with blankets of bluebells covering the forest floor. The only sound you could hear was the falling of water. It felt like we were millions of miles away from the noisy TT race! We eventually came across a clearing with a tree wizard sat in the middle being bathed in sunlight. 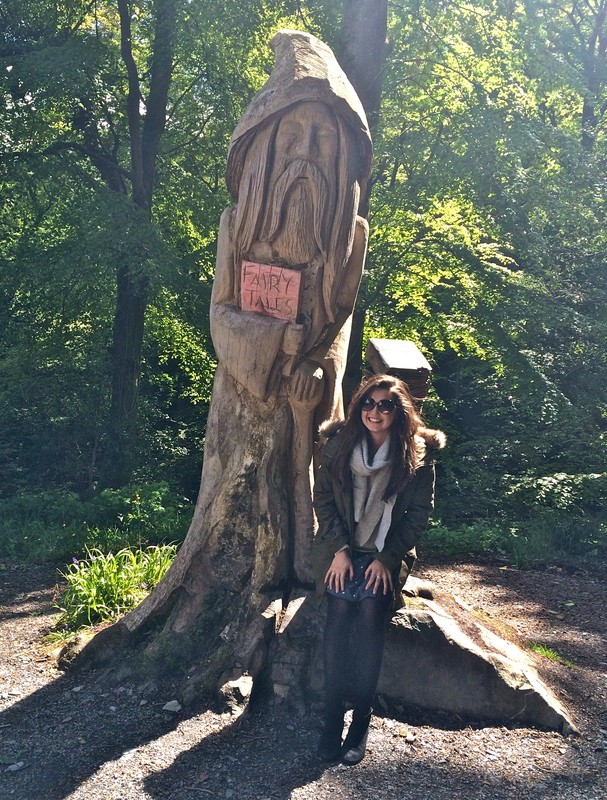 Apparently tree wizards are quite the norm on the Isle of Man! … The Laxey Wheel! It is one of the Island’s biggest tourist attractions, as it is the largest working water wheel in the whole world. I had finally ticked off all of the Isle of Man’s tourist attractions, and flew home feeling rather accomplished.